Although a new addition to the ever expanding Boltfish roster, Yvat is far from a new comer, having under his belt a considerable amount of albums, EPs and compilation appearances. Hailing from Bucharest, Romania, where he manages his own sound design agency, Yvat, born Octavian Justinian Uta, released his first album, Concerto For Violin And Analog Orchestra, in 2003 on Birmingham-based imprint Experimental Seafood, and since went on to work with Subliminal Tape Club, Cactus Island, +G6PD and Envizagae or Patpong Records. Right from the onset, Kunzite is a gritty and angular affair, where cold mechanical structures drive the momentum while more subtle touches bring unexpected glimmers of emotion and warmth throughout. 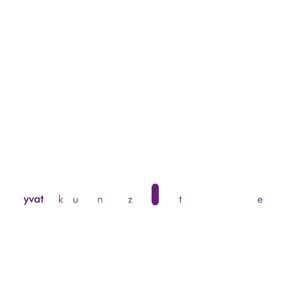 Using sharp rhythmic sections and crystal-clear sounds, and applying onto them clever little melodies, Yvat creates a series of complex miniature universes which are, at times, very reminiscent of Autechre circa Trip Repetae/Chiastic Slide. Indeed, Uta shares with the British duo a flair for bringing soulless electronics to life and giving them various amounts of emotional charge, not typically through sweeping arrangements or tricks of the melody, but through sound design and placement. Uta’s first few releases borrowed a lot from classical music, and here, it seems as if the same musical rigor serves as the backbone of this record. While sounds often affect each other over the course of a track, each one occupies a particular space here, as if it alone determined the overall structure of its parent track. By keeping his compositions below the five minute mark, Uta manages to create an impression of almost permanent change here, each track sounding very distinctive, yet, the overall album sounds extremely consistent both sonically and concept-wise, ensuring there is a constant flow from beginning to end, with no dead moments to be heard. In the six years he has been releasing music, Yvat has covered an impressive amount of ground. As a result, Kunzite sounds both mature and fresh, fuelled with a great amount of creativity and direction. In the process, Boltfish have just published their most compelling record yet.